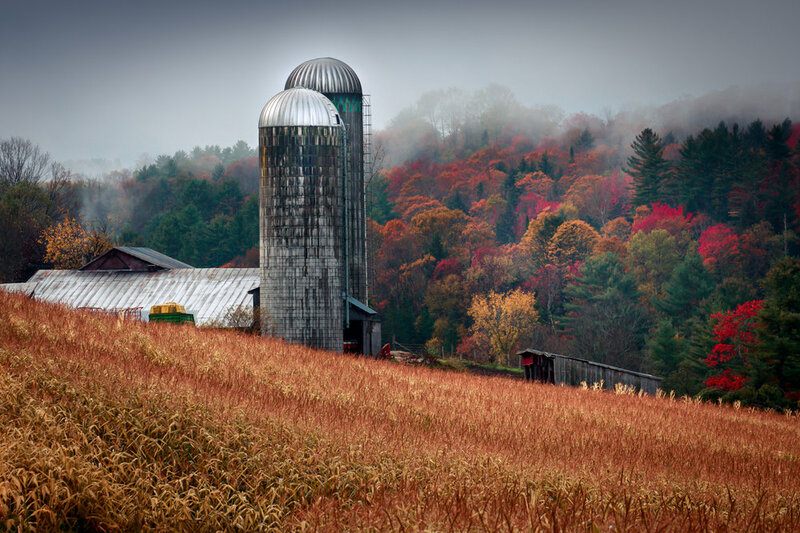 Create stunning and iconic fall images of the northeastern vermont landscape, complete with barns, farms, covered bridges and steeples. Whether you've lived in New England your whole life, or are visiting the area just for photography, this two-day workshop treats you to some photographic gems of Northern Vermont that you probably never knew existed. The stunning backdrop of fall foliage will make all of your compositions pop with color. It's hard to make a bad shot this time of year. We'll even include an optional Milky Way shoot at the covered bridge for those looking to develop their night photography. Standing and walking on paved and gravel paths with easy to moderate inclines. Quite a bit of hiking through wet fields. We will meet at the front door to the lobby of the Comfort Inn in St. Johnsbury at 12 Noon. David will have his tripod up. Dave lives in Shrewsbury, MA and speaks at camera clubs throughout New England. He has published several e-books (available in our store) for self-guided tours of New England locations. See his work online at www.davelongphoto.com and on Instagram. If you are looking for accommodations for this workshop, use “St. Johnsbury, VT” for a city. This workshop is overnight. We highly suggest booking a hotel for the evening of October 9 and booking sooner than later for the best options.